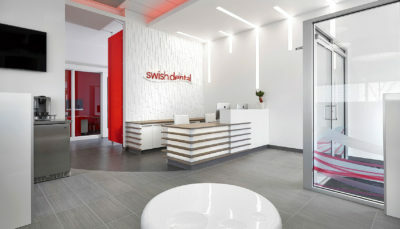 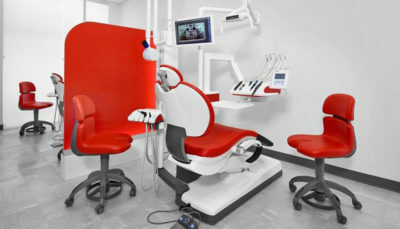 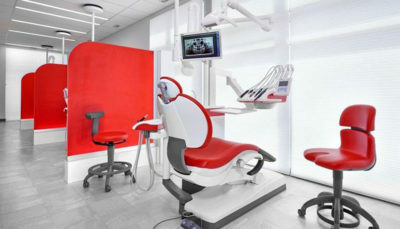 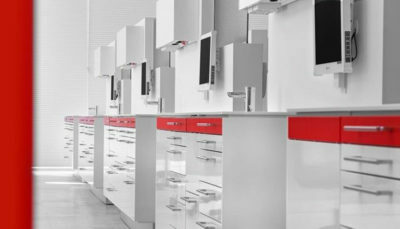 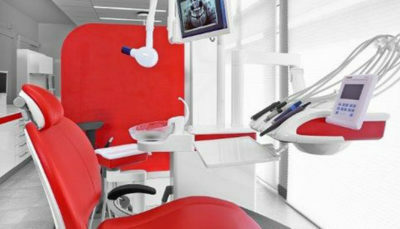 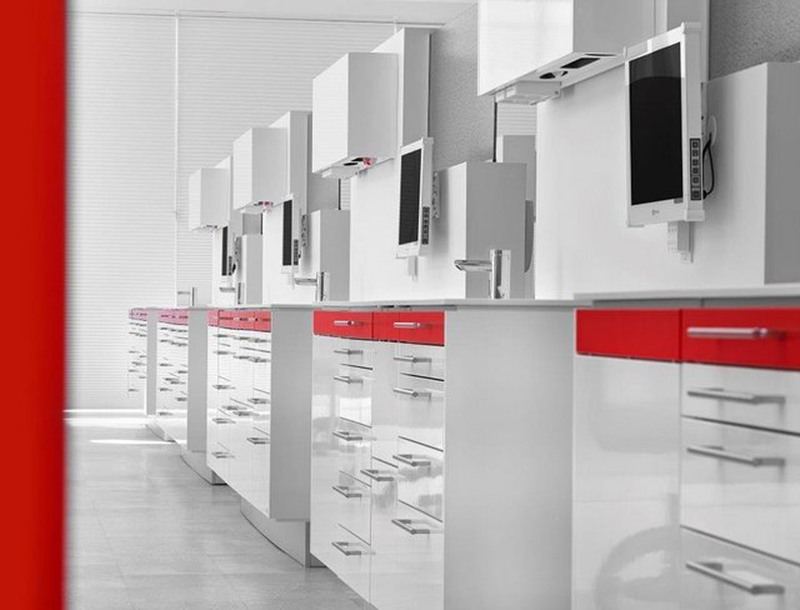 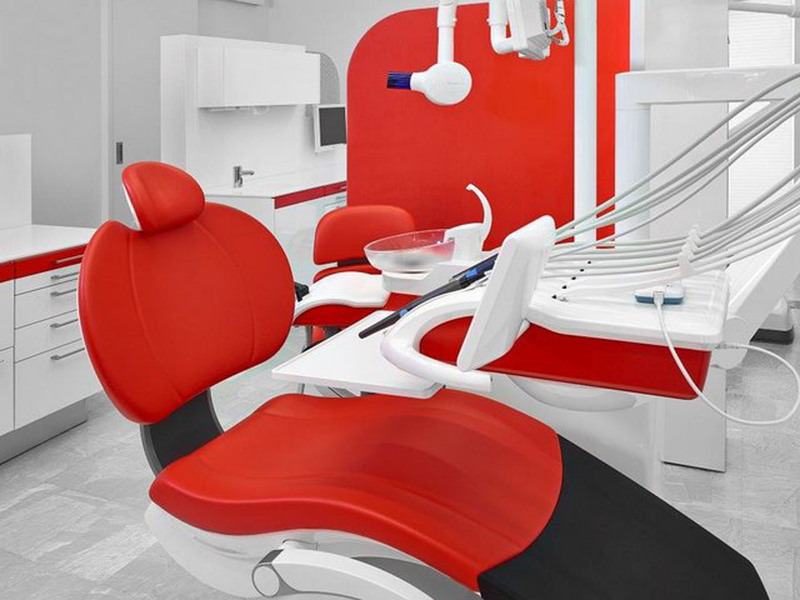 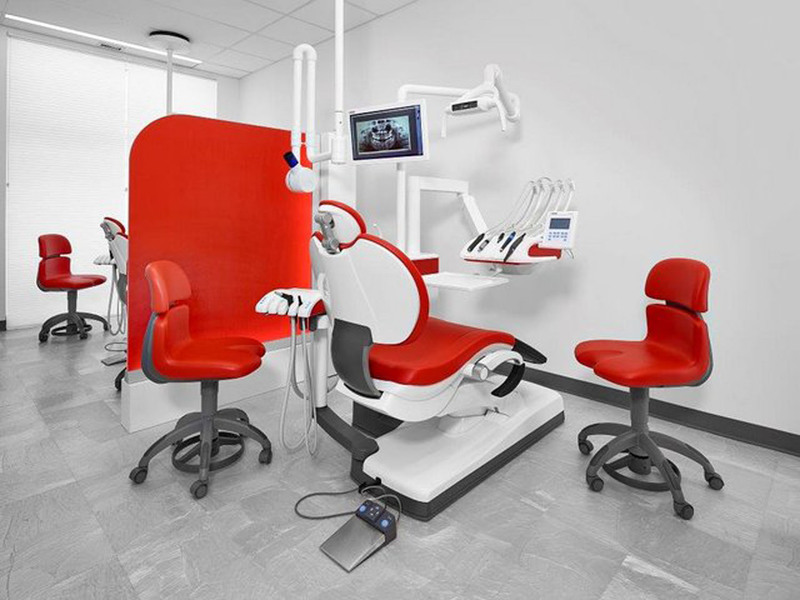 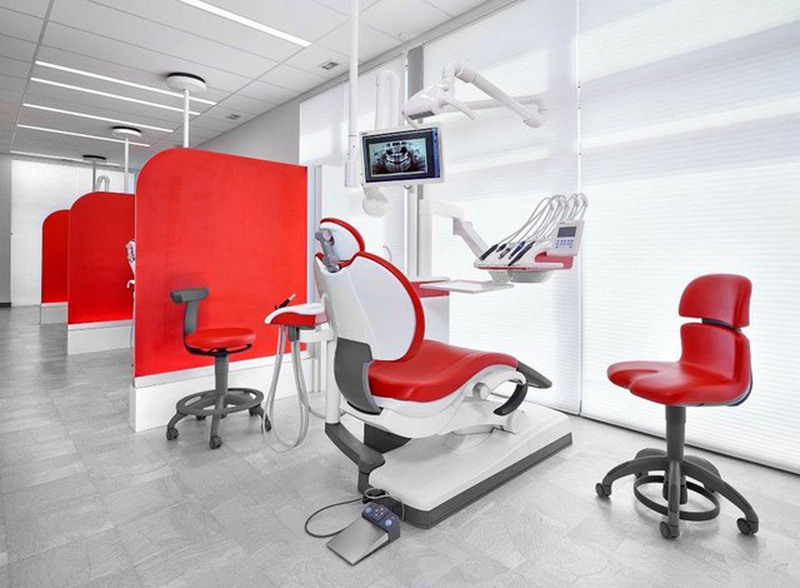 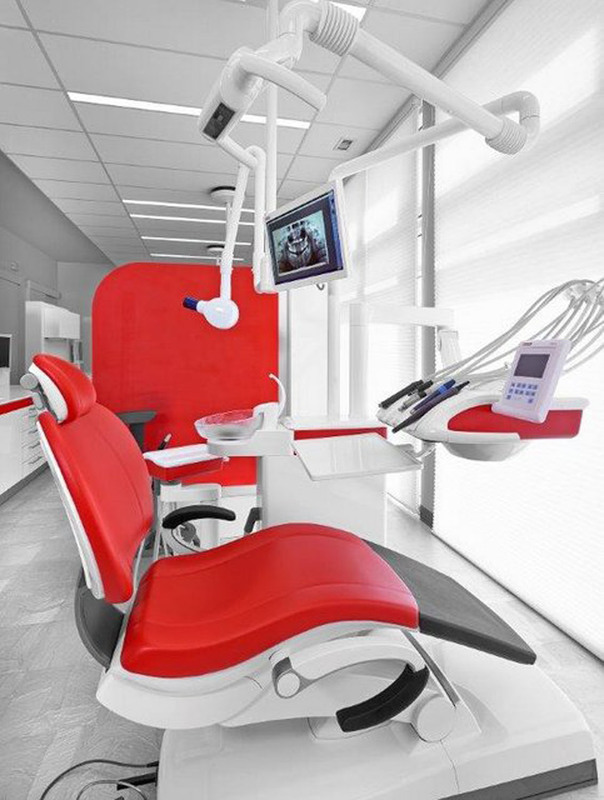 Swish Dental : Wolski Design Group Ltd.
Swish Dental’s clinic showcases modern technology, while allowing fluid movement throughout the space. 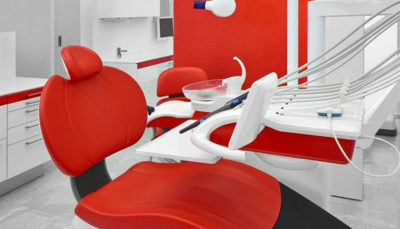 Upon entry, a stylish, relaxing environment welcomes patients. 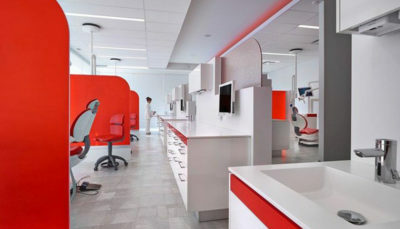 The spacious reception and waiting area features high ceilings, built-in bench seating and a complimentary coffee bar. 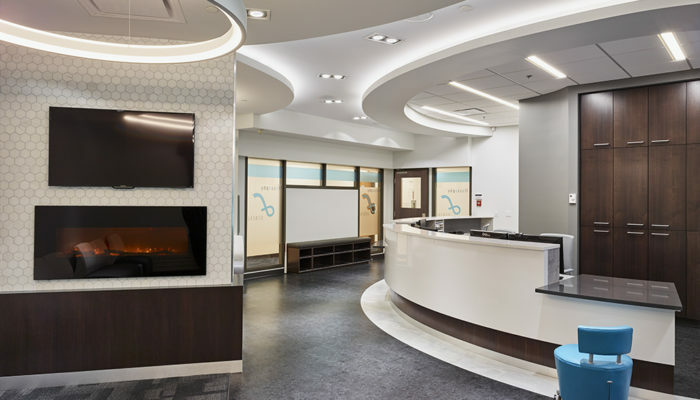 Highlights of this area include decorative textured wall paneling, linear light fixtures and recessed colour changing cove lighting. 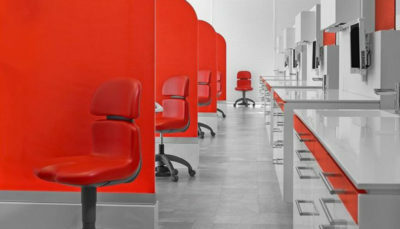 A predominately white palette, contrasted by red accents, creates a refreshingly open ambiance. 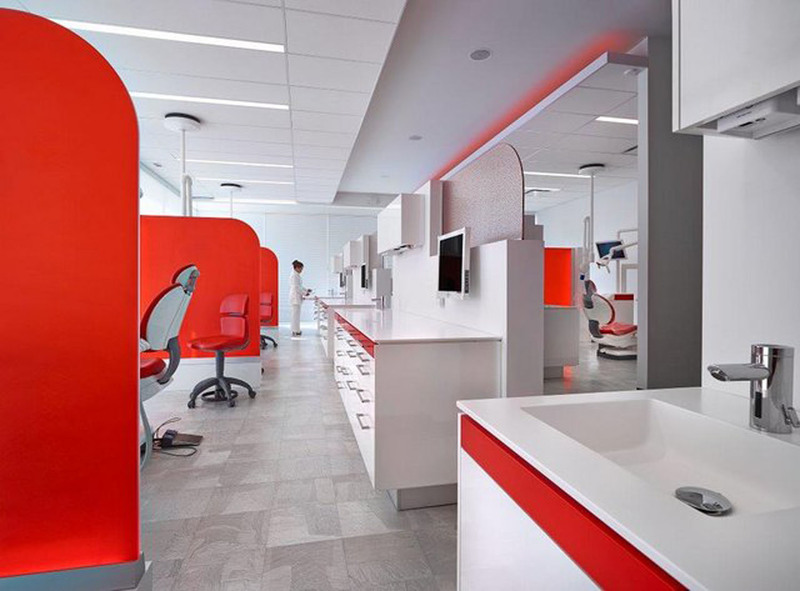 Colour-changing LEDs throughout the clinic add an eye-catching effect. 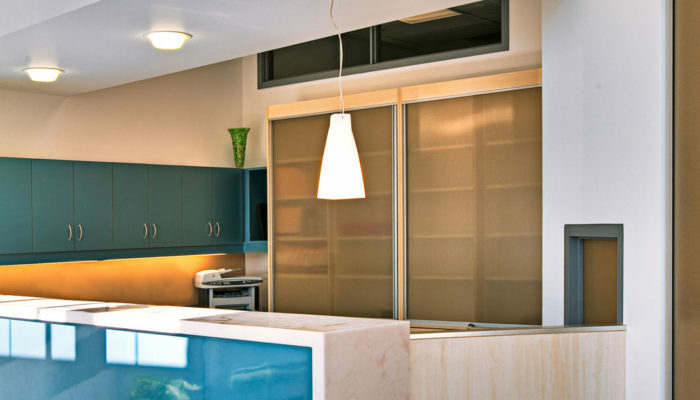 Moving to the operatories, custom edge-lit privacy panels border the spacious patient areas. 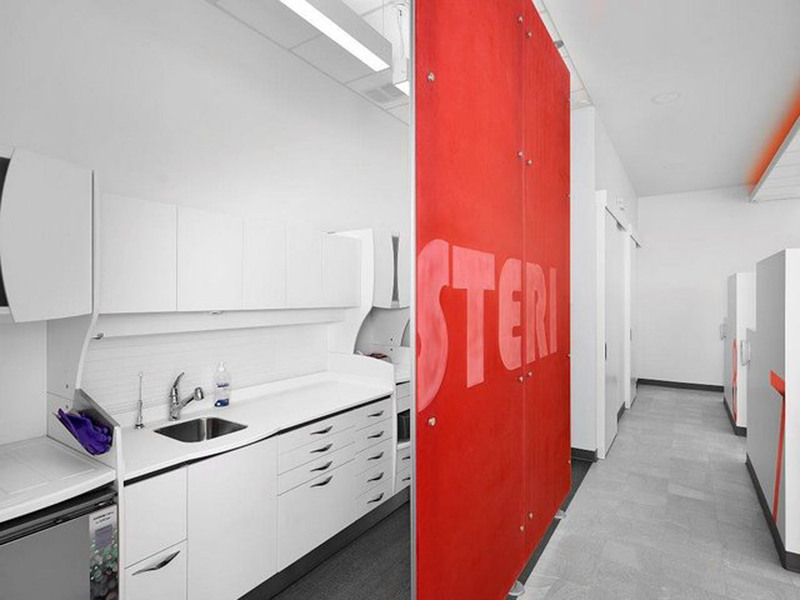 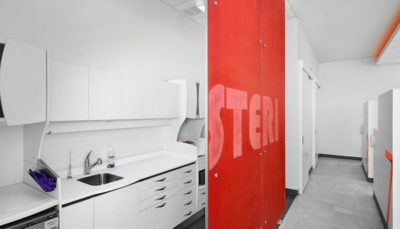 The sterilization centre is front and center for patients to see, demonstrating that the facility is clean and sterile. 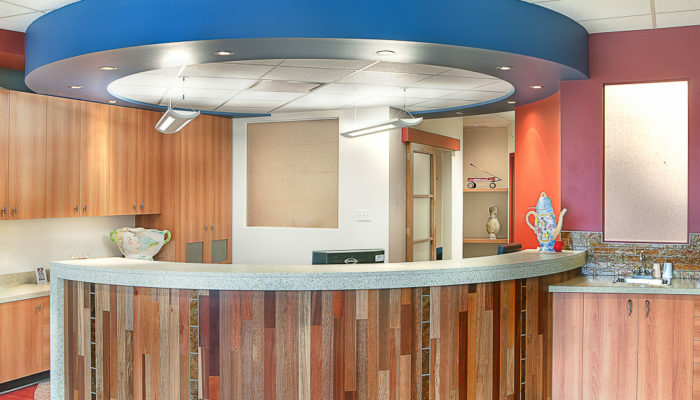 Large exterior windows provide an abundance of natural light to all patient areas. 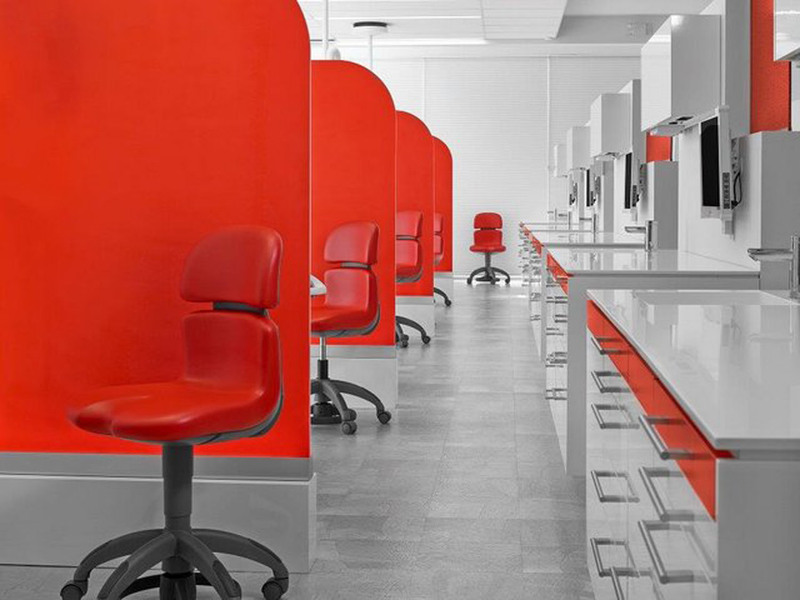 A predominately white palette, contrasted by red accents, creates a refreshingly open ambiance.